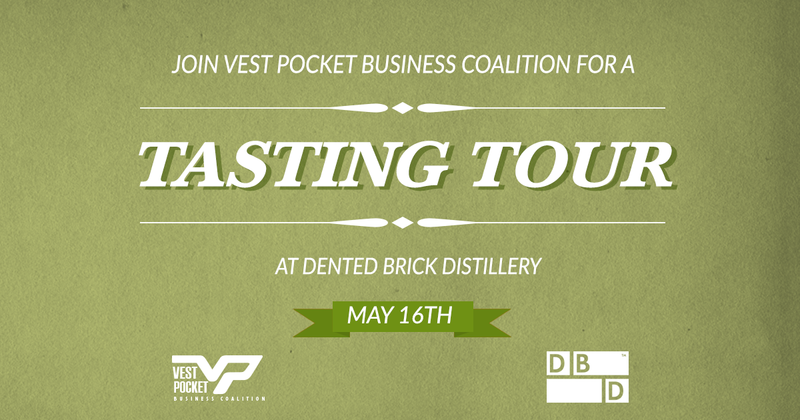 Join Us For Our May Event: A Tasting Tour of Dented Brick Distillery on Wednesday, May 16th! You’re invited to join Vest Pocket Business Coalition for our special May event after work on Wednesday, May 16th. Join us for a tasting tour at Dented Brick Distillery starting at 5pm. You can sample the various spirits produced at Dented Brick and learn how their distilling process works on this informative tour. Come meet other local, independent business owners and enjoy food from Caputo’s. This is a private event and pre-registration is required. Be sure to register now to reserve your space on the tour. Other: Must be 21 or older to be admitted. https://utahindependentbusiness.org/wp-content/uploads/2018/05/VP-2018-May-sq.png 630 630 Vest Pocket https://utahindependentbusiness.org/wp-content/uploads/2018/09/UIBC-logo-rev.png Vest Pocket2018-05-09 10:13:142018-05-09 10:29:02Join Us For Our May Event: A Tasting Tour of Dented Brick Distillery on Wednesday, May 16th!